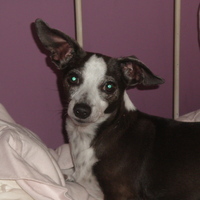 Miss Sally is a special little lady, really sweet and happy, calm and gentle. A very quiet girl who will warm your heart. 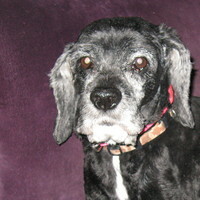 When she arrived here she was so matted that we had to shave her down. She is cute now once her fur grows back, she will be a doll. She is about 10 years old and seems very healthy, she does have the typical cocker ears that will need meds for a while. She loves her walks and is housetrained. She is good with all people and all the dogs that she has met. We love her and you will, too! 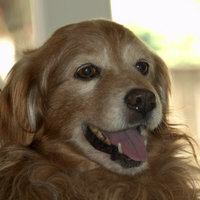 Everyone tells me I look like a shrunken down golden retriever, I act like one, too. They think I am around 9 years old and I weigh about 25 lbs. I love to play ball and get very happy when the leash comes out for a walk. I am a pretty mellow guy after my walk and just want to curl up at your feet and keep you company. Please think about adopting me, I will give you so much love and devotion! Little Tammy is soooo cute! She has a big personality for a little girl. She has a mind of her own, sassy you might say! She loves to go for walks and is fine with all dogs! 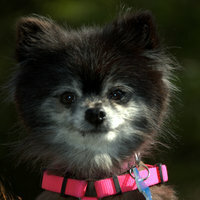 Tammy likes to be picked up and carried around, she is not the best cuddler, a little bit independent, but very charming!!! she can walk for hours and keeps up with the big dogs off leash on our hikes in the park. 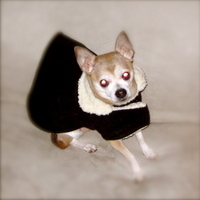 Wallace, one of the smallest victims of the housing crises, his dad of 10 years has to say good bye to him, so we hope someone will step up and give this little guy a chance at a wonderful loving place to spend his golden years. He is so sweet and a little bit shy. A real lap warmer. He just needs to find his place in the world. Skippy is so sweet, his foster mom says he thinks he is a lap dog, but not all the time, he gets nervous, you see, he lost his papa then he lost his long time companion, Preston. Skippy is all alone in the world and really would like to bond with someone who needs a little companion, someone he can trust and sleep with at night, someone who will keep him nice and warm and secure. Skippy is about 12 years old. Patches is a very sweet, sad boy, he could use a gentle person to make him happy again. 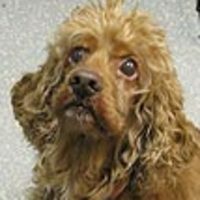 Patches is a beautiful buff, 10 year old cocker spaniel, he needs to put on some weight as he is a bit malnourished. He is great with dogs and people. He is affectionate and he likes to give and get it! He is pretty good on leash, enjoys the outdoors, though he is a house dog, for sure. He is searching for his place in the world, might it be your lap? 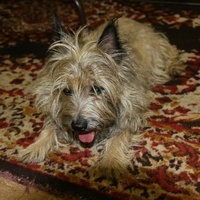 Joy Joy is such a sweet, shy girl, she came in with 7 other dogs, all have been adopted,escept Little Joy Joy. she needs a special home that can take it slow with her and introduce her to the world. she likes to sleep under the covers with you and is fine with other dogs. 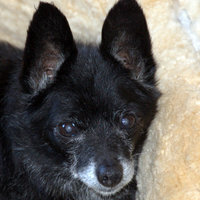 She is now in San Luis Obispo, being fostered and socialized. she is so cute but scared of new things. For a patient person that wants unconditional love, she would be a great match! Patrick is about six years old and the most loving boy. Patrick has separation anxiety and needs to be with a human 24/7. He is well trained, super sweet and can’t be left alone. 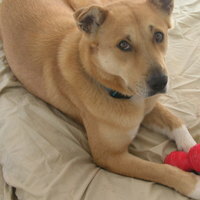 If a group home or a home bound person needs a wonderful loving companion, this could be your dog!! He is the sweetest!! if you want to meet the most gentle, sweet soul then Red is your girl. She is a social ambassador and as quiet as a mouse! she weighs about 25 pounds and is friendly with dogs of all sizes and people of all sizes, too. She is potty trained and has very nice house manners. 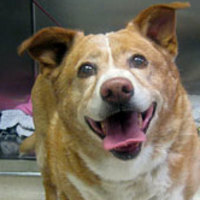 Red is about 12 years old, she is mellow but has so much love left to give, can she give it to you.